Last week brought the announcement that, after 30 years of bickering and lawsuits, The Misfits would be putting aside its differences and reuniting for Riot Fest. 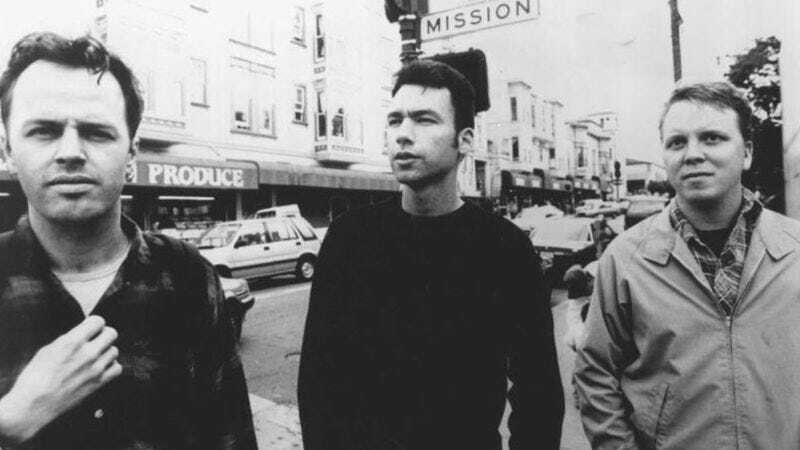 The punk-focused festival has a history of launching high-profile reunions, and one that is rumored every year is that of legendary East Bay punk act Jawbreaker. Yesterday, Substream Magazine writer Scott Heisel did some digging and found this YouTube video filmed at Giant Robot in Los Angeles last month where Jawbreaker drummer—and California member—Adam Pfahler fields questions from the assembled crowd. Talk quickly turns to reunion rumors and Pfahler spills all the juicy details. The status of a Jawbreaker reunion is still up in the air, and Pfahler states that, if the band were to get back together it won’t be the money that makes them do it. “We’ve totally talked about it, and everyone is excited about it, but it’s gotta be right. All the money in the world isn’t gonna make that happen. Everyone’s just gotta be right there with it.” It seems that all parties are open to it, but until the stars align, people will just have to make do listening to the excellent new record from Jawbreaker Reunion instead. Update: Pfahler has taken to the band’s Facebook page to dispel these reunion rumors, claiming that if the band were to reunite he’d be the first to break that news.